Beginning Fedora Desktop: Fedora 18 Edition is a complete guide to using the Fedora 18 Desktop Linux release as your daily driver for mail, productivity, social networking, and more. 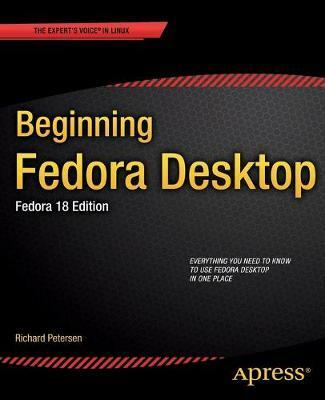 Author and Linux expert Richard Petersen delves into the operating system as a whole and offers you a complete treatment of Fedora 18 Desktop installation, configuration, and use. You'll discover how to install Fedora 18 Desktop on any hardware, learn which applications perform which functions, how to manage software updates, tips and tricks for the GNOME 3 and KDE desktops, useful shell commands, and both the Fedora administration and network tools. Illustrations note 505 Illustrations, black and white; XXII, 504 p. 505 illus.